I have had a search for this and cannot find any definitive answers. 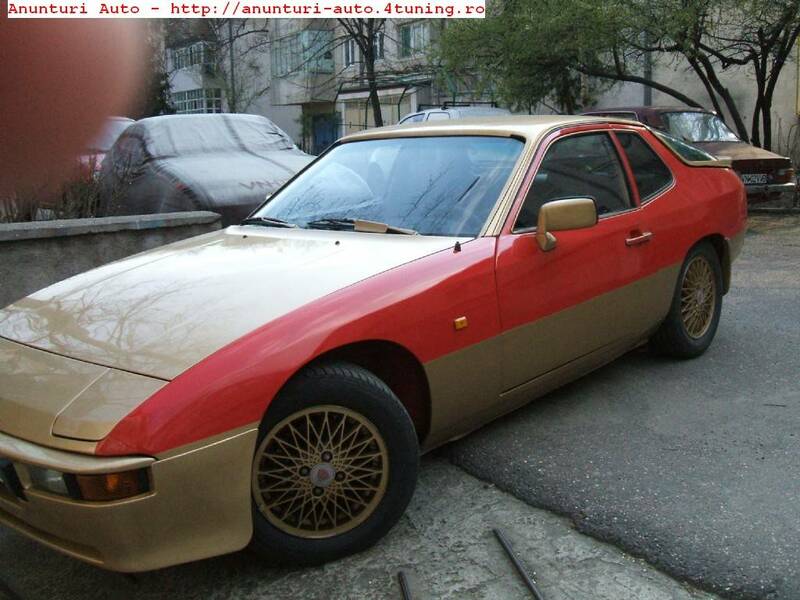 I have a early 944 which I am breaking for parts, I also have a 924 track car. 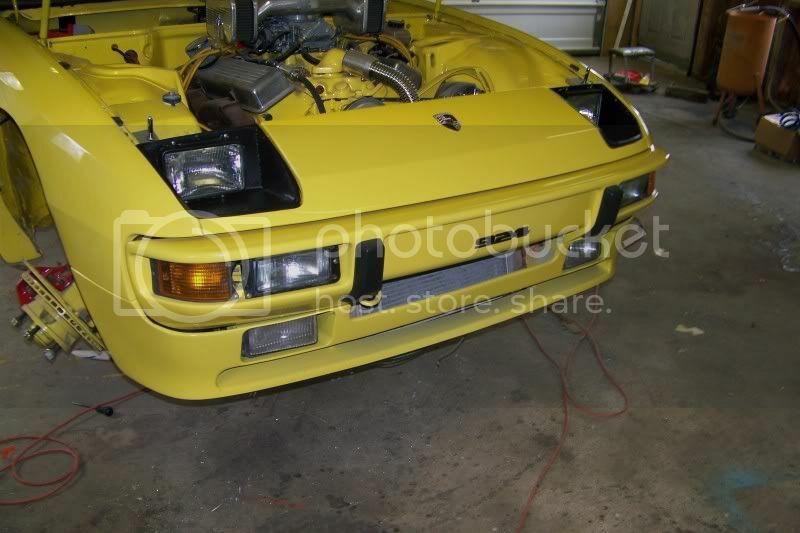 I would like to transplant the 944 front bumper and front skirt onto the 924 while keeping the 924 wings. Has anyone done this? I can see that it will all bolt up but will need the sides pulling in against the wings. The reason being is that there will be more room for mounting an oil cooler and fans and it would look good I think. 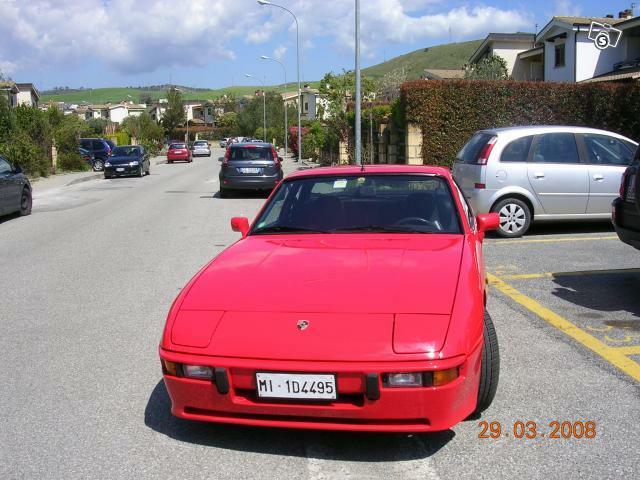 I'm no expert in the UK body stuff, but I think the 944 bumper is wider, and the lower valance would like require significant mods (like cutting in the middle and restitching to the narrower stance of the 924). The guy who would probably know off-hand is ic932, why don't you drop him a PM. 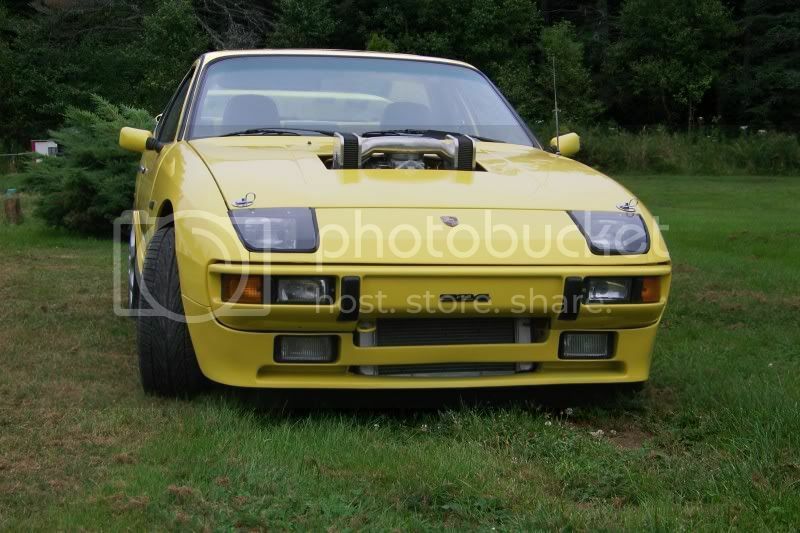 Just your luck, there is a 924 on ebay with a 944 front end. You won't have to section it for width or use the bumper. 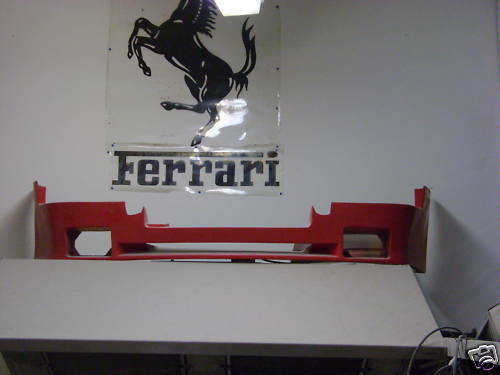 You would have to section the ends of the valance to match the fenders. Here's some pics of the finished product. Here's a photo for an avatar, it's what I think of when I see your yellow car! The air breather is dubbed the "Hammer Head" by the manufacturer, Holly. So it does fit well. Thanks for all the replies, I am now feeling fully motivated! The yellow car looks fantastic, did you fit the skirt yourself? I think you'd be better off finding one of these .I think it looks alot better [img] [/img] [img] [/img] [img] [/img] [img] [/img] This last one was for sale here in italy a couple of weeks back. 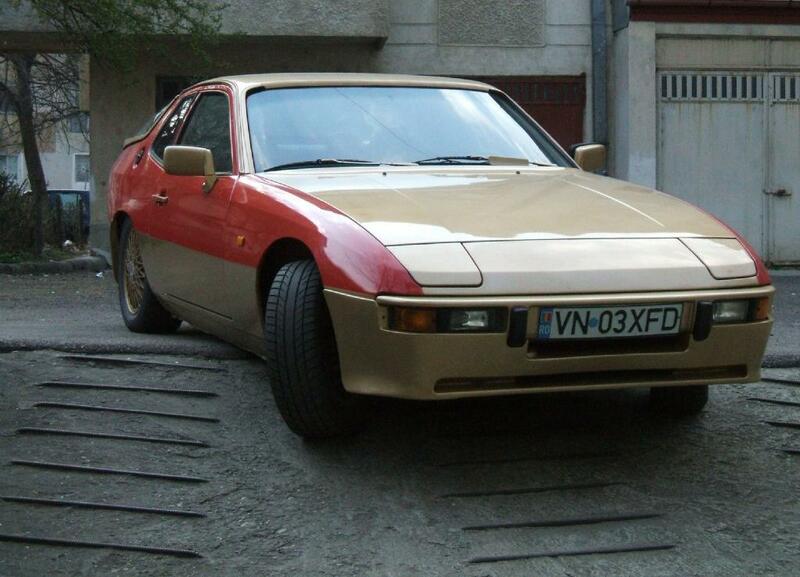 I think Porschev's 944 front end is how the 924 SHOULD have looked from the factory! I hate the over bite with a passion.